At Dunns Fish Farms we know our customers are our most valuable asset, which is why we make customer satisfaction our top priority. Our commitment to this goal, and your continued patronage, has helped make us the largest retail fish dealer in the United States. In our ongoing effort to better serve you, we try to carry the most comprehensive line of fingerling fish and pond & lake management supplies in the industry. We handle many types of fingerling fish including, Largemouth Bass, Channel Catfish, Hybrid Bluegill, Florida Bass, Coppernose Bluegill, Redear Bream, Black Crappie, Florida Largemouth Bass, Fathead Minnows, Oriental Koi, Diploid and Triploid Grass Carp White Amur, and Florida Hybrid Bass. 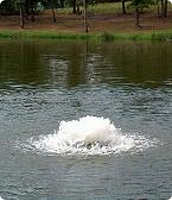 Our pond management products include Dunns' Sure-Ketch Turtle Trap, Dunns' Fish Trap, "Trophy Grower" Liquid Pond Fertilizer, Aerators, Seines and so much more! View our entire inventory in our lake supplies section, then put these great products to work for you! For additional information please don't hesitate to contact us. Check out our exciting new line of Fish Feeders and Game Feeders. 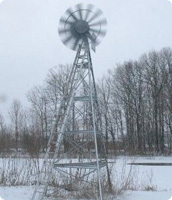 These rugged feeders are known for their durability and unsurpassed performance. Texas Hunter, names you can trust, prices you can afford! 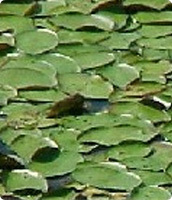 Turtles have always been a major problem in any pond or lake, but not anymore! Take a moment and see our hottest seller, Dunn's "Sure Ketch" Turtle Trap. It is a humane live catch trap. No baiting is involved, the sun is your natural bait. Once the turtle drops into the basket they cannot escape. 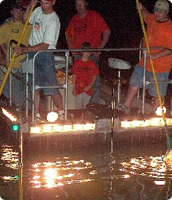 >Learn how one of our turtle traps can become one of the most valuable tools in the management of your pond or lake.Dunn's Fish Farm is an exclusive supplier and Authorized Service Center for Kasco Marine. 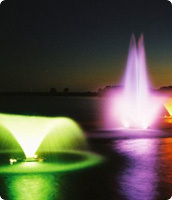 Our Fountains & Aerators will increase dissolved oxygen levels.Kasco aeration removes pungent odors caused by stagnant water.Helps maintain a constant temperature throughout the pond.Limit the risk of disease outbreaks in impoundments with poor water quality. Our first priority is to make sure your pond is stocked right the first time. Check out our Recommended Pond Stocking Rates on Largemouth Bass, Channel Catfish, Hybrid Bluegill, Coppernose Bluegill, Redear Bream, Florida Hybrid Bass, Diploid and Triploid Grass Carp (White Amur), Black Crappie, Oriental Koi, Florida Bass, and Fathead Minnows, then go to our Delivery Methods page to learn how we get your fish to you! At Dunns Fish Farm we take pride in not only providing the highest quality fingerling fish on the market today, but one of the largest varieties too. Choose from Florida Hybrid Bass, Channel Catfish, Black Crappie, Largemouth Bass, Hybrid Bluegill, Coppernose Bluegill, Redear Bream, Florida Largemouth Bass, Fathead Minnows, Diploid and Triploid Grass Carp (White Amur), and Oriental Koi. Go to our Fish Pricing page for current pricing and availability of pond & lake stocking fish. Click here to view what your missing. READ ALL ABOUT IT! Treat yourself to the best information available anywhere. 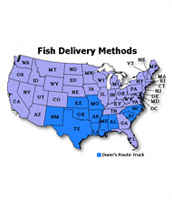 Sign up today for the Dunns Fish FarmNewsletters via email. They're informative, insightful, up to date, and best of all they're free! Discover the latest management techniques with the "Pond & Lake Management" Newsletter. Be the first to know about the latest and greatest products available today with the "New Products and Promotions" Newsletter, or sign on for "Fish Facts," the fun, fact filled newsletter that gives you everything you ever wanted to know about the interesting and obscure. To take advantage of this exclusive service from Dunns Fish Farms.